Dreaming of Owl is a story about two foxes and their grief journey after their friend Mr. Owl dies. Orange Fox has a comforting dream of Mr. Owl, but Red Fox does not. The story follows Red Fox's journey learning that he doesn't need a dream of Mr. Owl to heal. This book is intended to raise awareness on grief dreams. It is common for children and adults to have dreams of the deceased (positive and negative). This book allows parents and caregivers to ask about those dreams and the emotions that come from them. There are special pages in this book for adults to learn how to have a discussion about dreams of the deceased with a child. This book is not just for children. The book was written in such a way that adults will get something out of this story too. 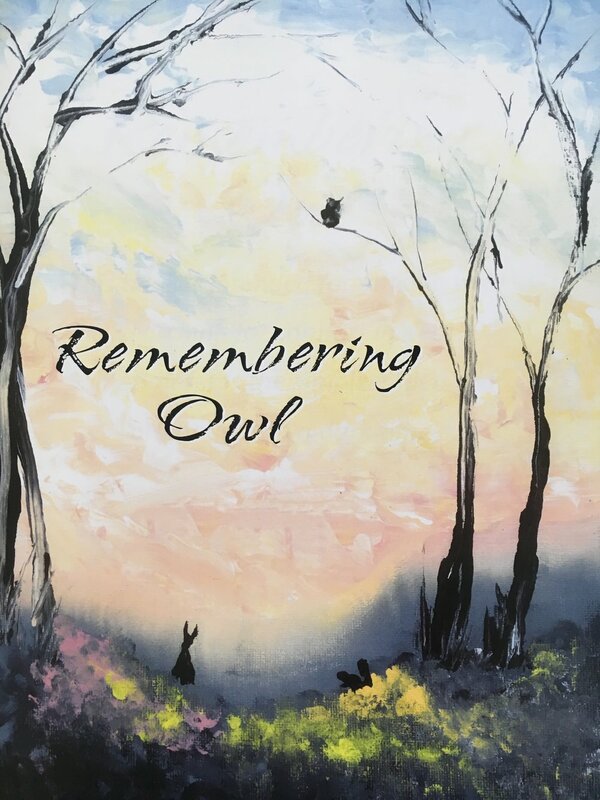 The first book in the series is called Remembering Owl. Remembering Owl is a story about a Bunny and a Chipmunk that woke up to news that their friend Mr. Owl had died. The story follows them exploring their grief together. Bunny recalls all the things Owl thought them about life cycles. To know more about Deborah, please go to the "About Me and the Team" tab and click "Grief Dreams Team".